Skills gap and high profile breaches are main causes behind increase in demand. If you thought cybersecurity roles were in demand in 2017, wait until we get into 2018. New reports are suggesting that these roles will be even more highly sought after. The cause is two-fold. On one side, there are high-profile cybersecurity breaches which are filling up headlines and raising concern among businesses. On the other side, there is a general lack of skilled cybersecurity experts. These two factors combined will result in cybersecurity pros’ salaries going even higher, and the demand for such professionals rising in a general sense. 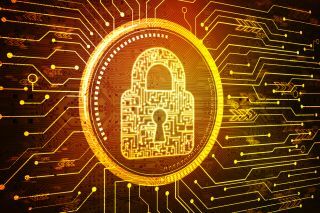 The Recruitment and Employment Confederation (REC) has surveyed IT recruitment agencies, and 81 per cent of them expect a “significant” increase in the demand for cybersecurity staff. Kevin Green, the chief executive of the REC, says the skills gap is a serious matter, noting, “Recruiters tell us that employers are making life more difficult for themselves by creating job roles demanding unreasonable amounts of experience, qualifications and skills – so they’re looking for someone that doesn’t even exist. Instead, they should think about how to make the most of transferrable skills and create training opportunities which would benefit employees and new applicants." He also said the government needs to make sure that businesses have access to a good talent pool, especially after Brexit.